With its Naples certification, Posto, in Somerville, passes the craft pizza test. 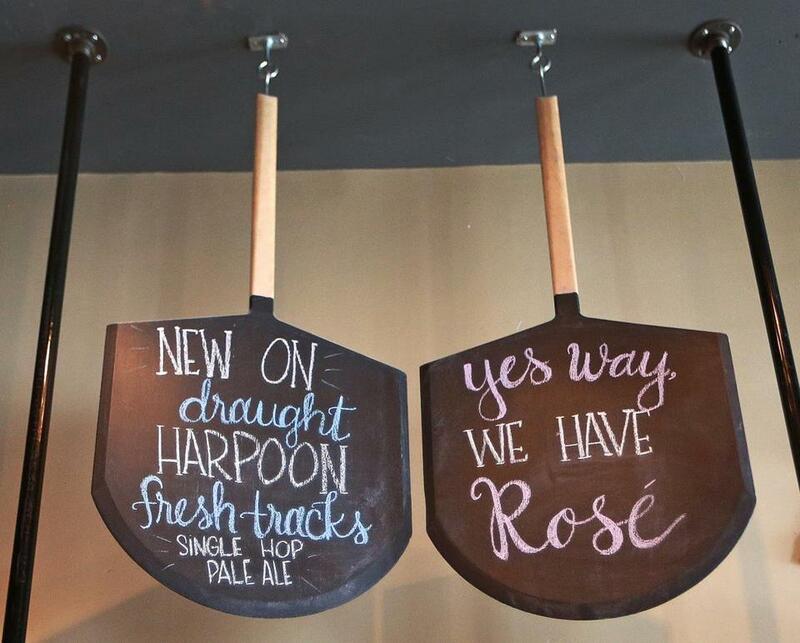 How much craft pizza can Greater Boston eat? The question is gaining urgency as coal- and wood-fired ovens multiply like viral airline videos, and the indie craft-pizza scene has become so vibrant that it’s spawned a trend of its own, fast craft pizza. Along the way, what was once known simply as pizza — the pies that generations of Bostonians have enjoyed at neighborhood joints — has been forced into a retronym. It’s now “traditional” pizza (or, if you’re a teenage boy, “normal” pizza). But even as the scent of perfectly charred crust wafts through the city, confusion lingers. What, exactly, is craft pizza? As with hipsters, the precise definition is elusive, but here’s how to recognize if you’ve entered a craft pizza situation. 1) The oven has a back story. 2) Pepperoni is not on the menu, but if it is, the farm where the pig and the cow roamed free is described on a chalkboard. 3) There is a chalkboard. 4) The employees are taking a gap year between college and law school. 5) The mozzarella is “house made,” the soda is “small batch,” and the words “cocktail program” are not out of place. 6) Venture capital funding was involved. 7) Do you even have to ask about vegan? 8) The dough snob at the next table is holding forth on pre-ferments and hydration levels. 9) Logo’d onesies are for sale. 10) Half the diners aren’t even eating pizza — they’re having the beet salad. 11) You need a reservation. If ever there were a moment for pizza to cross over, this is it, said Ed Doyle, president of RealFood Consulting. “Duh, it’s pizza,” he explained. “We don’t want to have to convince our customers to eat the product. People already love pizza. Let’s layer on other consumer trends” like fresh, upscale ingredients. Alas, even as craft pizza enjoys its moment, Pizza Today, a trade publication, reports that experts are already predicting market saturation in the fast-casual niche may not be far off. In the Boston area, it’s getting hard to keep up with the openings. Oath Craft Pizza has opened on Nantucket and in South Station, Chestnut Hill, Davis Square, and Coolidge Corner, all since the summer of 2015. An MIT outpost is next. Blaze Pizza — named the fastest-growing US restaurant chain in the country in 2016 — has one shop in the Fenway, another in the Theatre District, and a third in Cambridge, with plans to open near Boston University and in Burlington this summer. In Harvard Square, pending zoning board approval, the spot occupied by the Crimson Corner newsstand could turn into an &pizza. The fast-casual D.C. chain calls its employees “tribe members” and pays for workers’ ampersand tattoos (more than 60 employees have taken advantage of the perk). Pizza paddles used as chalkboards? Craft pizza must be near. This is at Max and Leo’s in Newton. The indies are also multiplying. Max and Leo’s Artisan Pizza, which began as a catering trailer, opened in Newton in 2011 and the Fenway in 2016, and is poised to sign a lease for an undisclosed Boston-area location. 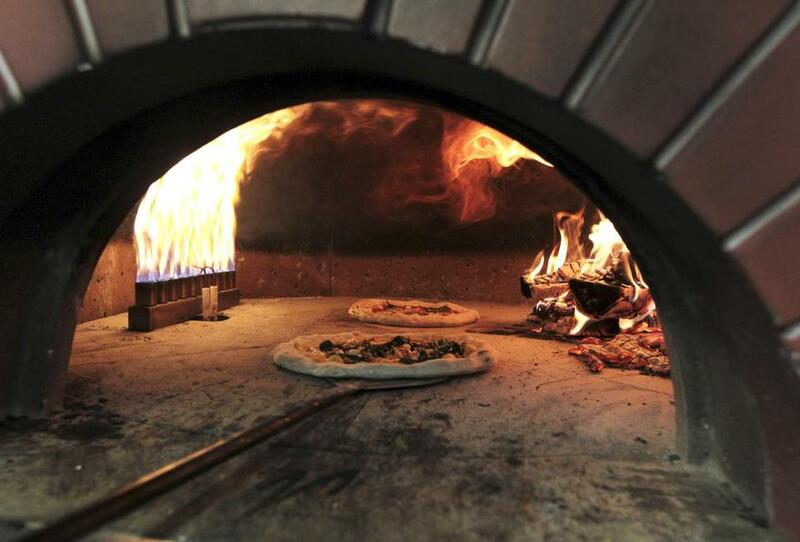 Stoked Wood Fired Pizza Co., which began as a truck, opened in Brookline last year and is scouting a second location. Kendall Square’s Area Four added a South End restaurant. Portland’s Otto landed in Harvard Square in 2011 and has since spread to Boston, Coolidge Corner, Arlington, Lynnfield, and Newburyport. The famous see Boston as fertile pizza ground, too. New Haven’s renowned Frank Pepe Pizzeria Napoletana took Chestnut Hill in 2015, and Mario Batali arrived on Fan Pier the same year with Babbo. We could go on, but the pizza’s going to get cold. The first wave hit when pizza arrived in the United States from Naples around the turn of the 20th century. Delivery — sometime after World War II — marked the second wave. Pizza’s craft period is characterized by 800- and 900-degree ovens that cook pies in as little as 60 seconds; ingredients with a farm-to-table pedigree; prices that run about $4 to $5 higher than a traditional pie; and, perhaps most notably, the absence of delivery. Yes, foodies are obsessed with pizza so fragile it can’t perform one of pizza’s most basic jobs: to get itself to your door. Stoked doesn’t deliver either, and neither does Max and Leo’s. Although the public didn’t really have a name for it, craft pizza has been with us for decades. Todd English began selling gourmet pies in Charlestown (at Olives and now Figs) in 1989. Emma’s Pizza, now on Columbus Avenue in the South End, has been selling pies with fresh toppings since the mid-1990s, and with thin gourmet crusts since the mid-1960s. And Rick Katz, a man who takes his dough seriously, opened Picco in the South End in 2004. Like beer, pizza is becoming an event unto itself. Organizers are planning the city’s first pizza festival for July 8 and 9 on City Hall Plaza, and sponsors include the high-end oven maker Marra Forni and the Naples-based Associazione Verace Pizza Napoletana. But even as craft pizza grabs the buzz, Monica Wojnilo, the Dorchester resident and insurance broker behind the popular “pizzablonde” Instagram account, says fancy pizza doesn’t always do the job. 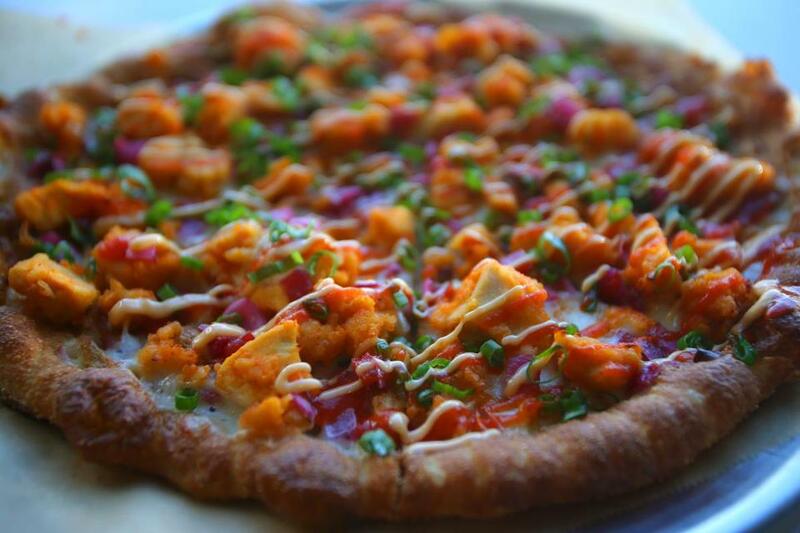 A pizza with sriracha sauce at the Chestnut Hill location of Oath, a craft pizzeria.